Throughout recorded history we find the accounts of men who pretended at godhood and used it as a political device. They often claimed for themselves a unique anointing, the status of superman, or the ability to create supreme law, and in their delusions they became false messiahs. When toward the end of his rule the debauched Roman emperor Nero (54–68 C.E.) opposed the building of a temple to himself as a divine being, he seemed to contradict the prevailing social order. Emperor worship had become part of everyday Roman life, and his own progress toward such exaltation seemed to be accelerating. Was Nero’s refusal a sign that humility had at last come to the pompous and cruel ruler? It seems not, on several counts. Nero’s stated reason for declining the honor was the belief that only dead emperors could achieve divinity. But already 10 years earlier, he had allowed the Senate to erect his statue—alongside and equal in size to that of the god of war—in the temple of the Avenging Mars. Further, coins from his reign depict him with the radiate crown of a deified emperor and as Apollo, the sun god. If that were not enough to demonstrate the emperor’s fascination with divinity (whether he really thought he was divine or just pretended at it), events surrounding the visit to Rome of Tiridates, king of Armenia, should convince the skeptic. Tiridates was also a Parthian magus, a priest of Mithra. His surrender to Roman forces had allowed him to retain his throne as a vassal king, but it was as a magus, or magician, that Tiridates intrigued Nero. To add to the fascination, Mithra was the god of light and was often identified with the sun. When the Armenian king visited Nero in the year 66, he knelt and addressed the emperor as “master” and “god.” At that point, apparently, Nero indeed viewed himself in terms approaching divinity. According to third-century Roman senator and historian Dio Cassius, Nero told the king, “You have done well to come here in person, so that by meeting me face-to-face you might enjoy my grace. . . . I have the power to take away kingdoms and to bestow them” (Roman History 63.5.3). Soon after, in a lavish and carefully orchestrated public ceremony, the priest of the god of light repeated his words of homage as the rising sun shone on Nero’s face and made him appear as a new manifestation of the sun. 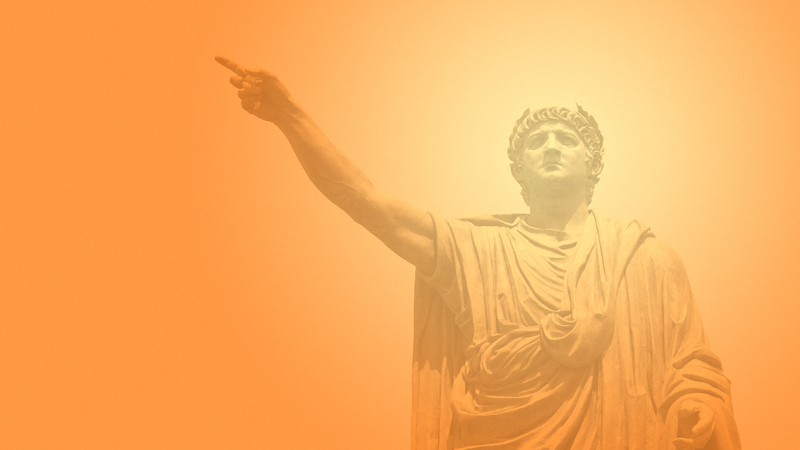 Despite the fact that he was probably more interested in the gods ideologically than religiously, there is no question that Nero was obsessed with the sun. From his identification with Apollo the Lyre Player, god of music, to the invincible Sol, god of racing, to Phoebus Apollo, the charioteer of the sun, Nero became a multitype of the sun god in his lifetime. By the year 60 he had become a divine lyre player, a singer and a chariot racer with golden hair. He initiated a Golden Age. He was the New Apollo and Sol, wearing a diadem with rays rising from it. And yet he was also a man of the people, shunning divinity, performing in plays, singing in public. In these sometimes ambivalent opinions about divinity, Nero was not so unusual, for his Roman predecessors and his imperial successors did similar things: they both shunned and claimed divinity. The thread of adulation runs throughout, as both a need of the ruled and a temptation for the ruler. Roman emperor worship, or the celebration of the imperial cult, had its beginnings with Julius Caesar (46–44 B.C.E. ), who had learned it from the Greeks. The Greeks in turn had absorbed the idea from the Egyptians and the Babylonians. Caesar sought legitimacy for his ambition of lifetime rulership by claiming a divine origin for himself. His mistake was to suggest that while he was still alive, people should worship him as divine, a descendant of the goddess Venus. Such display of hubris clashed with Roman aristocratic ambition and led to his assassination at the hand of a group led by Brutus and Cassius, members of the Senate. But it was not long before Julius Caesar’s desire for divinity was rewarded. His nephew and adopted son Octavian, who eventually became Caesar Augustus (27 B.C.E.–14 C.E. ), proclaimed his father Divus Iulius (divine Julius), built a temple to him, and placed his statue among the Roman gods of antiquity in the Pantheon of Agrippa. Augustus, however, denied Roman Italy the right to accord himself the divine honors that he bestowed on his father, openly saying that he was not a god. On the other hand, he allowed his Egyptian subjects to recognize him as such and permitted the construction of temples in his name in the Eastern empire. In these areas remote from Italy, he became known as “savior” and “benefactor,” worthy of worship. Augustus’s successor, Tiberius (14–37), was reluctant to accept deification for himself, though he readily granted it to his predecessor, referring to him as “the divine Augustus.” But again, during his rule Tiberius appeared as divus on some coins and was declared “son of the god” in a document written in 37. It was the next emperor, Gaius (37–41), also known as Caligula, who would take the ultimate step and demand to be worshiped in Rome. An illness during the early days of his rule seems to have upset Caligula’s mental balance. Believing himself to be the incarnation of Jupiter, the father of the gods, he proclaimed himself the embodiment of all previous Roman gods and goddesses and habitually dressed in their garb. Numerous first-century Roman emperors were enamored with divinity. Angered that the Jews in Alexandria would not set up and worship his statue in their synagogues, Caligula instructed his legate in Syria to install his bronze image in the temple in Jerusalem. Though the emperor later rescinded the order, in his megalomania and egocentricity he was not dissimilar to the later Nero. These traits showed themselves in both men in egregious self-promotion and delusions of grandeur. Men who delight in playing god until they become a god have long been part of human society, and often at the leadership level. Politicians who use the power of religion to sway and enslave others are not uncommon. What happened in the Roman Empire once the imperial cult was established provided an example for subsequent rulers in other social and political orders. "Men who delight in playing god until they become a god have long been part of human society, and often at the leadership level." Following Caligula’s murder, Claudius became emperor, succeeded in turn by Nero. It is said that toward the end of his reign Nero set up a huge bronze statue of himself as the sun god. While this is a matter of scholarly debate, it does sound like the kind of public work that Nero would have undertaken. Most scholars have claimed that Nero built a huge bronze statue of himself as the sun god and set it up in the vestibule of his famed Golden House (Domus Aurea), the extensive remains of which have been opened recently to the public beneath the streets of Rome. But visitors cannot see the statue: it was destroyed in the fourth century. What can be known is that the emperor planned to erect a 100- to 120-foot statue of Sol, one of the Roman sun gods. Pliny the Elder (23–79 C.E.) says that the statue was intended to represent Nero, but some scholars have noted that this may be the opinion of the emperor’s detractors, who wished to denigrate him after his death. The historians of Nero’s time do not unambiguously support the notion that the great image was of the emperor himself, nor indeed that it stood in the Domus Aurea in the time of Nero. 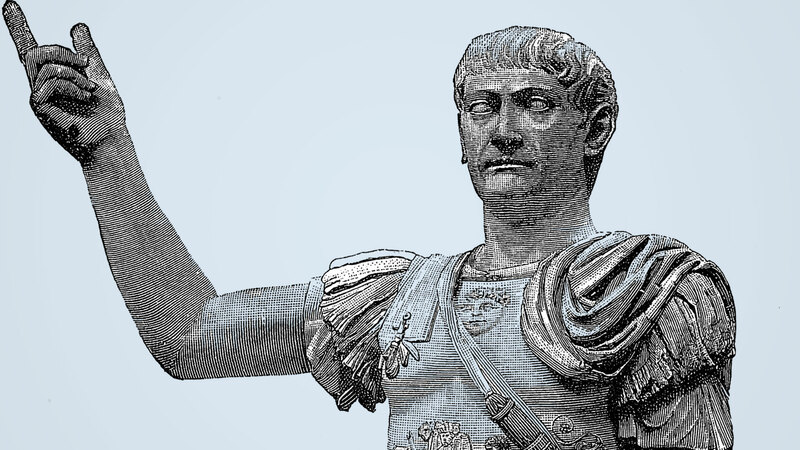 The biographer Suetonius, born a few years after Nero’s death, is the only one who specifically refers to “a colossal statue of the emperor.” But he does not say that such a statue stood in the vestibule; rather, that the space was large enough for one. Pliny actually witnessed the sculptor creating his work, but he does not say that it was finished in Nero’s time. Tacitus (ca. 55–120), who was a keen critic of the emperor, makes no mention of the image. Further, third-century historian Dio Cassius records that Vespasian, one of Nero’s successors, erected the colossus several years after the latter’s death, not in the Domus Aurea but on the Sacred Way. It is therefore unlikely that Nero ever saw the statue standing in his house. If he did commission such a statue, his actions were strikingly similar to those of another ruler in a different time and place. The Bible records that about 650 years earlier Nebuchadnezzar, king of Babylon, erected a 90-foot golden statue and required all of his subjects to worship the great image on pain of death (see Daniel 3). Some Bible scholars believe that it was most likely an image of Nebuchadnezzar himself—a version of what the young Jewish prophet Daniel had revealed when he interpreted the king’s dream about an unusual statue made of several elements (see Daniel 2). Daniel had said that its head of gold represented Nebuchadnezzar and the Babylonian kingdom he ruled. It is not too wild a speculation to suggest that the king’s already enormous pride was bolstered by Daniel’s interpretation, and now some form of deification became his passion; hence a golden statue of himself, which everyone had to worship. The book of Daniel goes on to show that the king’s pride led him to believe that he was responsible for his own success, that he was in some way God’s equivalent, for which he suffered seven years of egomaniacal madness (see Daniel 4). "The king's pride led him to believe that he was responsible for his own success. That he was in some way God's equivalent." The theme of “men as gods” is a fascinating study into the transmission of ideas across cultures. When the Babylonian Empire fell to the Persians in 539 B.C.E., the new rulers were at first tolerant of Babylonian religion and its Chaldean priesthood. But eventually the priests frustrated the Persians, when in an attempt to retain their behind-the-scenes political power, they installed as ruler of Babylon one of their own, a priest posing as the king’s brother Smerdis. The imposter was discovered and killed by the Persians. Following a subsequent revolt when the priests again set up their own Babylonian ruler, the Persian king Xerxes came and destroyed Babylon in 487, tearing down the temples and removing the statue of Marduk. Emperor worship inherited some of its concepts from the ancient East, where kings were considered sons of the gods. The famous legal code of King Hammurabi (ca. 1792–1750 B.C.E.) of the first dynasty of Babylon contains a description of how the god, the king and the people were bound together. When the king assumed the throne, he derived his authority to rule by grasping the hands of the statue of the god Marduk. The god thus revealed himself to the people through the king, who then became a son of the god, and his rule could not be questioned. The idea that the ruler was associated with the sun came from Egypt. The ancient Egyptians venerated Re, the sun god, and the Pharaoh was understood to be his son. In effect, the ruler was the inviolable intermediary between the people and their god. The Greeks did not share this view: their gods were much more human and visited people on earth. Further, the rule of their kings was not absolute. But when Alexander the Great visited Egypt, he was welcomed as the son of Amon-Re, the principal Egyptian god. From then on he accepted that he was the son of Zeus, the chief of the gods. Alexander was buried in Alexandria, where he was worshiped as the son of Amon. As his cult spread, temples were erected to his honor throughout Asia Minor. His successors, the Ptolemies and the Seleucids, came to believe that they, too, were worthy of veneration. It was a short step from here to veneration of the conquering Romans when they succeeded the Greeks in ruling the East. Soon temples and statues were built honoring Dea Roma (the goddess Rome), and the stage was set for the blossoming of Roman emperor worship, which proves to have a lengthy pedigree. At this point, around 480, the Babylonian priests are thought to have left the city and reestablished their base elsewhere. According to one source, “the defeated Chaldeans fled to Asia Minor, and fixed their central college at Pergamos, and took the palladium of Babylon, the cubic stone, with them. Here, independent of state control, they carried on the rites of their religion” (William B. Barker, Lares and Penates: or, Cilicia and Its Governors, Ingram, Cooke and Co., London, 1853). Once established in Pergamos, the Babylonians quite naturally set up their religion again. In an article on the god Bel, also known as Marduk, the Anchor Bible Dictionary notes: “It is true that Bel-Marduk must have suffered the degradation of being defeated by the foe, but it is also true that the Persian conqueror dealt kindly with religious concerns so that Bel, though shamed by his impotence in the Babylonian debacle, survived and passed his legacy on to the Hellenistic and Roman world.” And so, ancient ways became part of other cultures. The early history of the city of Pergamos is somewhat obscure. The Greek historian Xenophon (ca. 428–354 B.C.E.) mentions that sometime after 490 the deposed king of Sparta, Demaratus, became an advisor to Xerxes. Further, he says that the Spartan king’s relatives were given land at Pergamos, among other places, perhaps in recognition of Demaratus’s service to Xerxes. But the city did not become important until Alexander the Great’s conquest of Asia (334–323). With the flourishing of his Greco-Macedonian Empire, Pergamos became a major military and political center. Was Alexander held captive by the power of the Chaldean religion? Again according to Barker, the Chaldeans at Pergamos “plotted against the peace of the Persian empire, caballing with the Greeks for that purpose. They brought forward Alexander as a divine incarnation, and by their craft did as much as the Greeks by their prowess to overthrow the Persian power” (emphasis added). It is an interesting indication that the Chaldeans did not cease from wielding politico-religious influence, injecting their presence into the next world empire. Significantly, and perhaps in gratitude, Alexander planned to restore Babylon to its greatness, intending to make it his capital. His death there in 323 B.C.E. from fever prevented the fulfillment of his dream. But the idea that a man could become a god was passed on to Alexander and his successors by the Babylonian priests. In the two centuries that followed, Pergamos increased its prestige, reaching its zenith under the Attalid dynasty. Attalus I concluded an alliance with Rome in 212 B.C.E., and the fortunes of the city were assured for many years. But his descendant Attalus III had no heir, and so he willed the city to the Roman Empire before his death in 133. Throughout the 350 or more years following the establishment of Pergamos, it seems that the descendants of the Babylonian priesthood maintained their role in the city’s religious life. But Bible scholars further indicate that the priests did not make Pergamos their final home. When the city was given to Rome, they sought out the new power center and moved to the Italian peninsula. Within the pagan and later Christianized Roman Empire they were able to continue some of their ancient Chaldean practices. "Was this one of the entry points of the “men as gods” idea, appropriated by the Romans beginning with Julius Caesar?" Was this one of the entry points of the “men as gods” idea, appropriated by the Romans beginning with Julius Caesar? And has the notion that men can become messiahs, using religious rituals and the power of supposed divinity, been carried forward through civilizations since? In Part Two we will continue to explore the march of messiahs through the Roman Empire and beyond. This article originally appeared in the Spring 2005 issue of Vision. Revised for Spring 2008. William B. Barker, Lares and Penates: or, Cilicia and Its Governors (1853). C.K. Barrett, The New Testament Background: Selected Documents (1956, 1987). Gustav Adolf Deissmann, Light from the Ancient East (1927). Pliny the Elder, Natural History. Suetonius, The Lives of the Caesars.